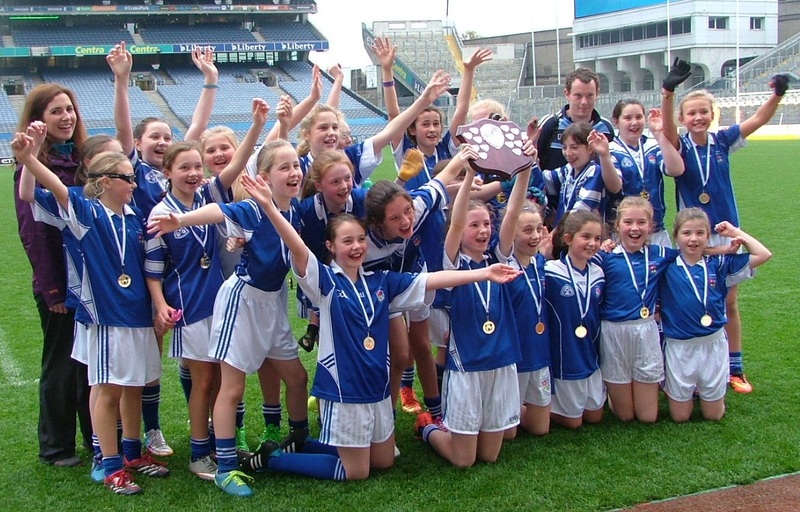 The senior football team and the girls’ football teams reached the Cumann na mBunscol Football finals, and played in Croke Park on Tuesday the 3rd of November 2015. 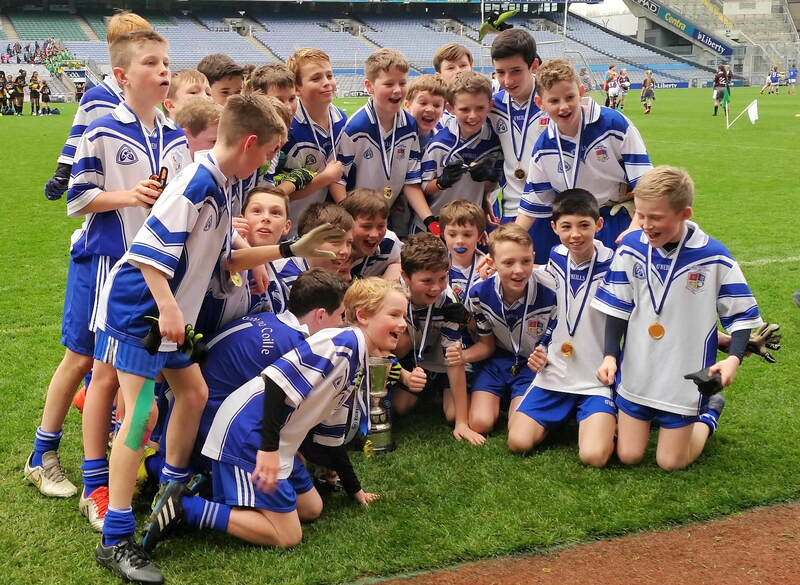 THE BIG DAY : A great day was had on the 3rd of November when the pupils from 3rd to 6th class went to support the school’s football teams in the Cumann na mBunscol finals in Croke Park. Our senior footballers played against Gaelscoil Brian Bóraimhe, Swords in Corn Clanna Gael. It was an extremely exciting match and the supporters were on tender hooks until the final whistle was blown. 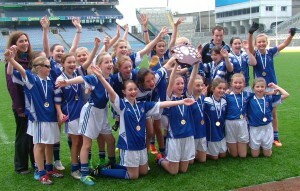 A well deserved 3-12 v 1-10 win to Gaelscoil Thaobh na Coille was celebrated by the players and their parents and there was great delight at bringing the cup home to the school. Our girls team took on St Mary’s, Lucan in Sciath an Chladaigh and came out on top also with a score of 5-8 v 2-2. Suffice to say that the pupils were ecstatic on their return to school and the poor bus driver was deafened on the way home by the loud singing and shouts of ‘Taobh na Coille Abú’! Congratulations and míle buíochas to the teachers who train our football teams: Maoiliíosa Ó Dúbhthaigh, Rónán Mac Niallais, Eavan Ní Mhuirgheasa & Karl Priestley. Tá moladh speisialta ag dul do na cailíní & na buachaillí eile ar fad a bhí ag gabháil don traenáil ó thús na bliana ach nach bhfuair imirt i bPáirc an Chrócaigh ar an lá. Maith sibh go léir.